No, it is not a myth. You can be healthy. But you must start now. Try as we might, we will get old. It is a fact of life. However, just by staying healthy you can have a long and fruitful life with lifelong health. You can conquer anti-aging in the process. Unfortunately, it is not all up to us. Your parents have a lot to do with your health. Also, your then has a lot to do with your now. If you were healthy as a child and ate your spinach, you stand a better chance of being healthy than those that were always sick and ill-nourished. In the past as a population, we were not aware of the importance of taking care of our selves and our children. There have been great strides in health care and health knowledge in the past few years. Who knows what the future will bring? We know that there will be even more strides concerning knowledge of anti-aging and health. There was a time when if a child in a household had the chicken pox, it was thought that the best thing to do was to expose every child in the household. The idea was that after a child had the disease, he or she could not get it again. Therefore it was best to get the disease and have it behind you. But that was before we knew about shingles. Now we understand that once you have had chicken pox, you are carrying the virus and you can get the shingles at a later date. Today you need a vaccination against shingles just because you once had chicken pox. If your parents had known, they might have isolated the sick one to prevent the others from future problems. There will be more knowledge about other childhood sicknesses coming out. Some may be worse and some may not be as bad as shingles. The fact is that no one knew the problems we would face today. Tomorrow we will also say we did not know. Nothing to do but hope you are doing the right thing for everyone. A lot of our good fortune in life is just a fluke. You can do everything right and still not be where you want to be. Do not be in the wrong place at the wrong time. Hope you are not on the road in the vicinity of those that are texting. Hope a major disaster does not strike where you are. There is no sense fretting over what we can not control. Stay focused on the aspects of your life that you can control. 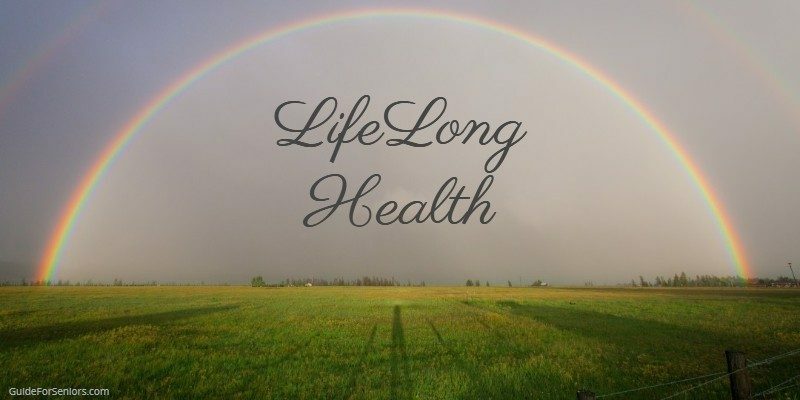 Lifelong health is a goal. Stay positive and enjoy every day. It is a gift. Read more for Seniors on Guide For Seniors.